How is Kyanite Used For Good Feng Shui? Kyanite, like any other crystal or stone, has a special meaning, as well as unique properties. The energy of kyanite is very helpful and uniquely nurturing. Kyanite can be of great help to people who have busy lifestyle because it promotes inner balance, as well as protects from negative influences. Usually, when people think of kyanite, they envision blue kyanite. Even the name kyanite means deep blue in Greek. However, kyanite comes in many colors—you can find white, orange, green and even black kyanite, each color expressing specific properties of this stone. For example, black kyanite will have additional grounding and protective properties, being connected to the energies of the first, or root chakra. All black color stones are protective—from black obsidian and tourmaline to black onyx. The orange kyanite will activate and nourish the sexual energy center, similar to other orange stones, such as carnelian. Kyanite is one of the very few stones that do not absorb negative energy, so it does not need cleansing (another stone is citrine). Kyanite is also a very peaceful stone, a stone that gently rebalances one's energy and promotes a healthy and peaceful way of being. Most of the kyanite comes from USA and Brazil. Kyanite is a beautiful stone to have in anyone's bedroom, especially in children's bedroom. It will calm the energy while nourishing the person who holds it close. 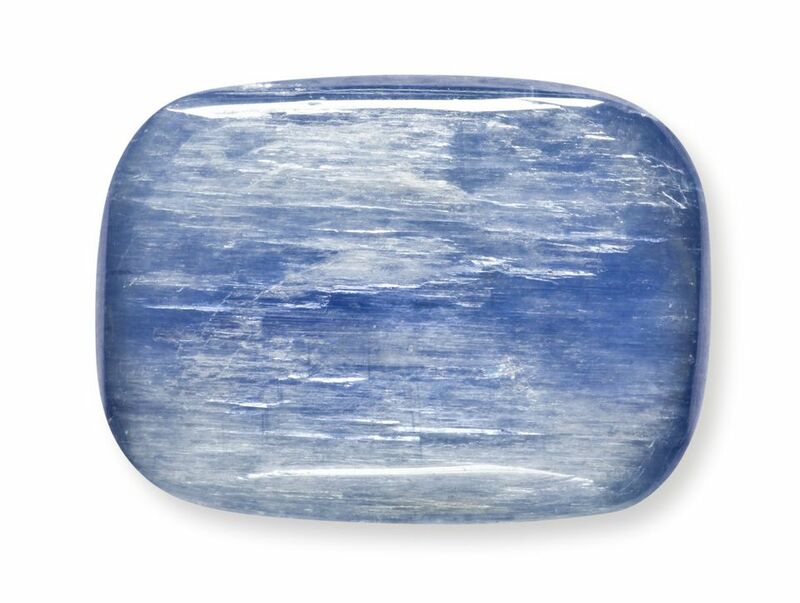 Along with rose quartz, kyanite makes a healing and peaceful presence for any home. Feng shui-wise, kyanite brings soothing, calming energy for any bagua area of a home or office. You can also display kyanite on your altar and use it in your meditations. Best feng shui area for placement of kyanite will depend on its color. So, if you have blue or black kyanite, place it in the North, East or Southeast bagua areas. If you have orange kyanite, it can be an excellent addition to your Love & Marriage area (Southwest). The unpolished/raw from of kyanite is the most soothing one. Raw kyanite sticks come very handy for travel, for body healing and massage or even to use as a bookmark! The closer the stone is to your body, the more you benefit from it, so using a kyanite stick is practical and easy. You can also choose kyanite in its polished form such as spheres, hearts, etc. There is a wide variety of kyanite jewelry available - from kyanite earrings to beads and bracelets. Choose the form that works best for your lifestyle (and your budget), and be sure to give kyanite a try—it will make for a true, humble and faithful friend.